2018-19 subscription packages and single tickets are now available. For questions, call our Ticket Office at 904.354.5547. 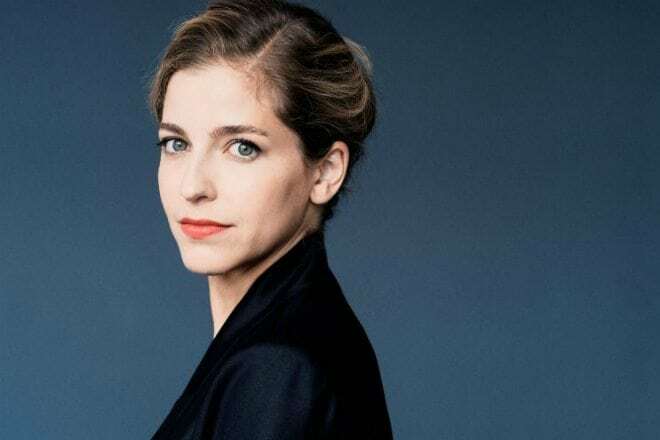 A tremendous talent among a generation of young conductors, Karina Canellakis marks her return to the podium in Jacoby Symphony Hall by leading the Symphony through Mozart’s final symphony, the grand “Jupiter.” From Beethoven’s intense Leonore Overture No. 3 to Elgar's In the South and the glorious finale of Mozart’s Symphony No. 41, this program is pure energy. May the Fourth be with you... Join us for a free concert and open house for the season finale of the Mayo Clinic Community Concert Series! 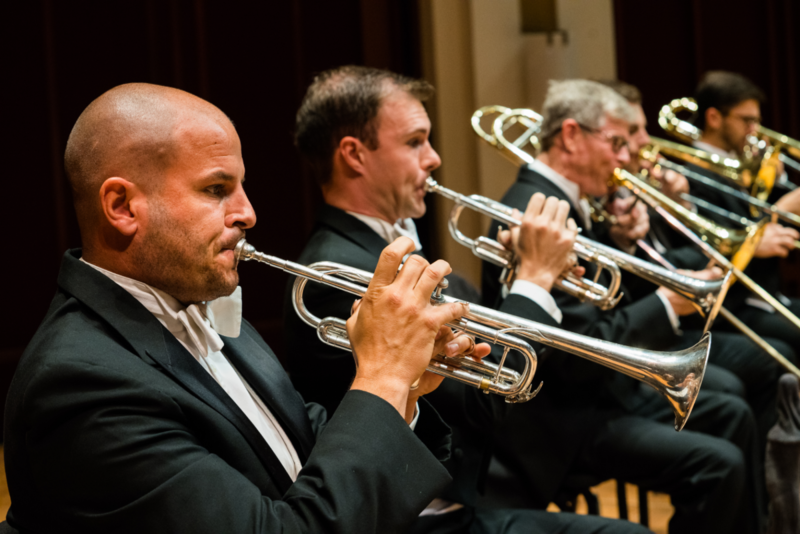 Pre-concert activities including backstage tours, instrument zoo, and "Conduct Us" with Symphony musicians will begin at 5:30 PM and the concert will begin at 7:00 PM. Concert admission is free to all but a ticket is required for entry. 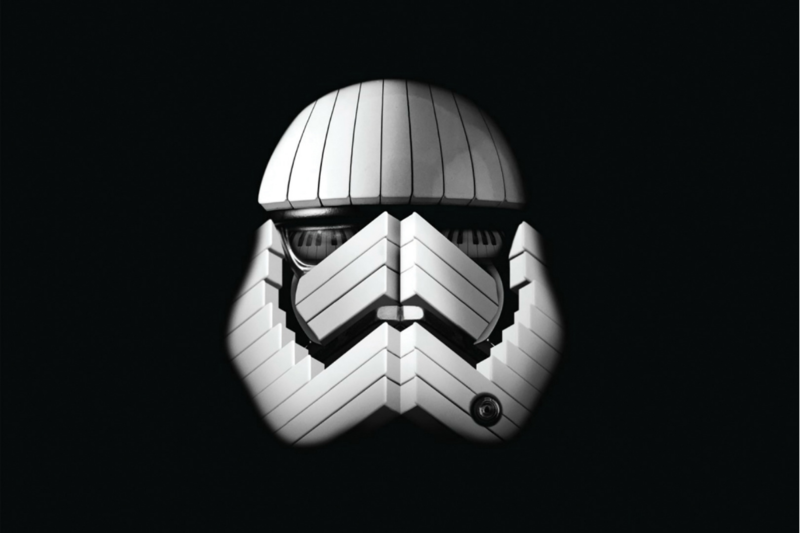 Sat 5/4/19 7:00PM General Admission May the Fourth Community Concert More Information This item is not currently on sale. Through mentorship, endorsement and friendship, Robert Schumann had the single most significant impact on the career of the younger Johannes Brahms. In homage, Brahms’ Symphony No. 1 contains clear references to the musical style of the man who so influenced him. 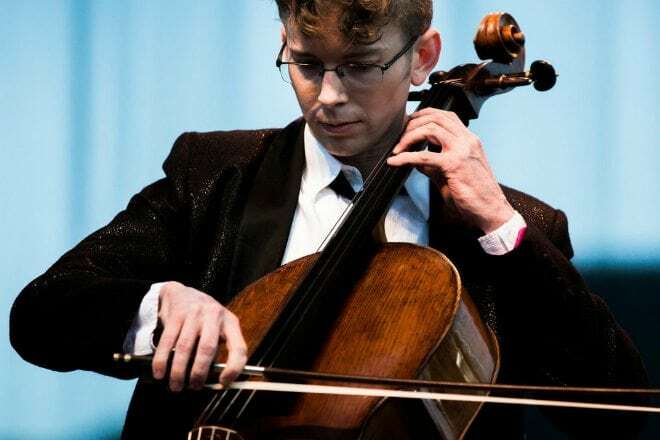 Joshua Roman returns to Jacksonville to perform a virtuosic tapestry of sound in Lutoslawski’s Cello Concerto. The Symphony’s Memorial Day weekend tradition continues with our salute to heroes in the U.S. military who made the ultimate sacrifice while protecting the freedom we cherish. 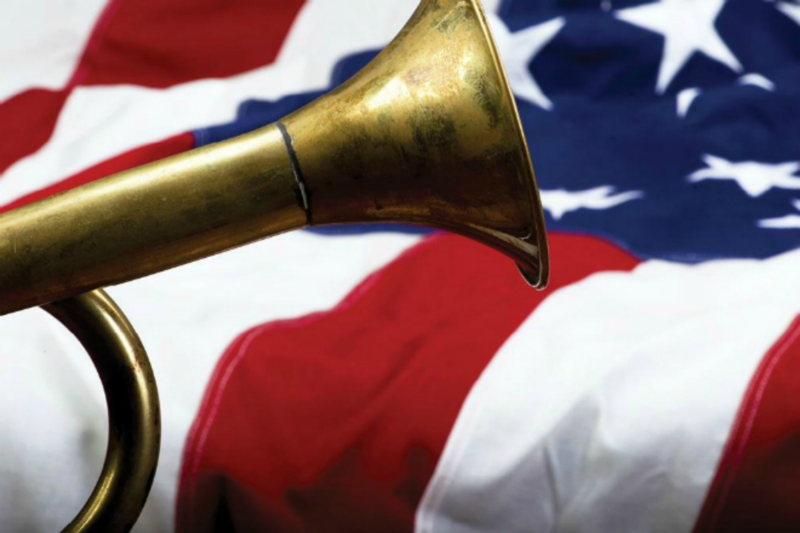 Join us to hear your favorite patriotic selections including The Star-Spangled Banner and the themes of the great branches of our country’s military. This will be one of the most inspiring events of the season. The MGM classic film returns to the big screen at Jacoby Symphony Hall with its Oscar-winning score played live by the Jacksonville Symphony. 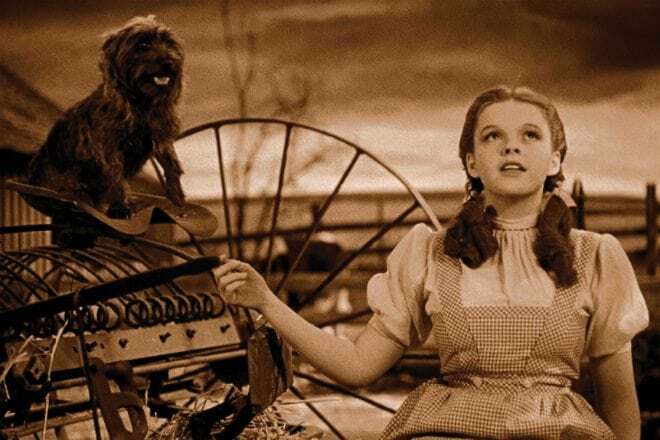 This film that “has youngsters’ eyes shining and brought a quietly amused gleam to the wiser ones of the oldsters” (NY Times) features a young Judy Garland singing the timeless hit "Somewhere Over the Rainbow." Be sure to bring the children and grandchildren. 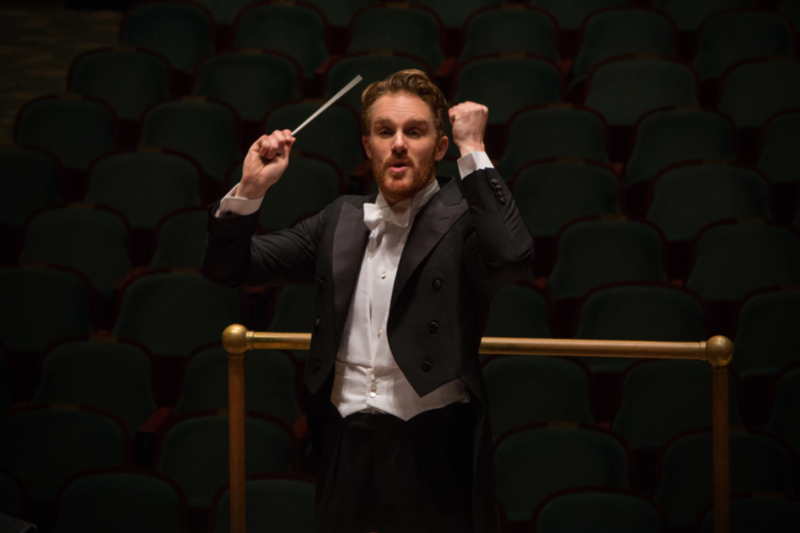 The Jacksonville Symphony closes its season with a spectacular opening – a powerful, lone trumpet call that unfolds into an enormous work filled with dramatic power in Mahler’s Fifth Symphony. From the lush and introspective fourth movement to the triumphant finale, Mahler fills this expansive canvas with nearly every color imaginable. Rhapsody in Blue. A name that instantly embodies the Mt. Everest of classical and jazz fusion. 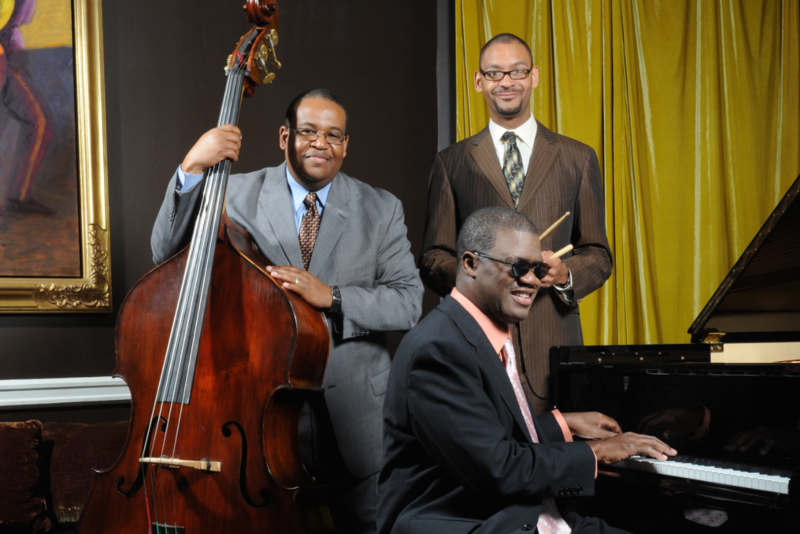 Marcus Roberts, who has been hailed as, “a genius of modern piano” and the rest of his trio join forces with Courtney Lewis and the Symphony to bring a fresh vibe to Gershwin’s masterpiece. The Symphony’s opening night concludes with Dvorák’s Eighth Symphony. Sat 9/28/19 8:00PM Jacoby Hall Fanfare! Opening Night More Information This item is not currently on sale. Our season-long celebration of Beethoven’s 250th birthday opens with perhaps his most unique symphony, the “Pastoral.” Beethoven loved nature and captured the beauty and power it held for him in this elegant and dramatic work. Fri 10/4/19 8:00PM Jacoby Hall Beethoven's Pastoral Symphony More Information This item is not currently on sale. Sat 10/5/19 8:00PM Jacoby Hall Beethoven's Pastoral Symphony More Information This item is not currently on sale. The third film in the Harry Potter series, Salon called it, “…the first to capture not only the books’ sense of longing, but their understanding of the way magic underlies the mundane.” Harry’s third year at Hogwarts starts off badly when he learns deranged killer Sirius Black has escaped from Azkaban Prison and is bent on killing the young wizard. See it like never before with a live symphony orchestra playing the score. Sat 10/12/19 7:00PM Jacoby Hall Harry Potter and the Prisoner of Azkaban More Information This item is not currently on sale. Sun 10/13/19 3:00PM Jacoby Hall Harry Potter and the Prisoner of Azkaban More Information This item is not currently on sale. It’s been said that you can’t have a great movie without a great soundtrack. Michael Krajewski brings you music from the scores of some of the greatest movies of all time (and some that weren’t so great but, brought us wonderful music). The Jacksonville Symphony helps you relive many of your favorite films through their iconic songs and scores. Fri 10/18/19 11:00AM Jacoby Hall Hooray for Hollywood — Coffee More Information This item is not currently on sale. Fri 10/18/19 8:00PM Jacoby Hall Hooray for Hollywood More Information This item is not currently on sale. Sat 10/19/19 8:00PM Jacoby Hall Hooray for Hollywood More Information This item is not currently on sale. Brahms’ colossal Second Piano Concerto interlaces tremendous virtuosity with the haunting lyricism that is one of his great calling cards. Surprisingly, it also features one of the most beautiful cello solos ever written. Music from Janácek’s lighthearted opera, The Cunning Little Vixen, opens the evening and is followed Lutoslawski’s beautiful and profound Symphony No. 4. This program touches nearly every emotion imaginable. 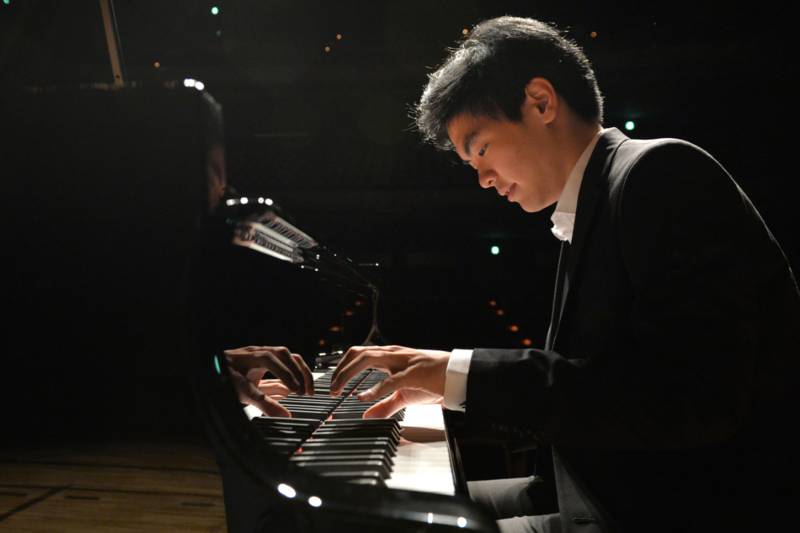 Fri 10/25/19 8:00PM Jacoby Hall Brahm's Piano Concerto No. 2 More Information This item is not currently on sale. Sat 10/26/19 8:00PM Jacoby Hall Brahm's Piano Concerto No. 2 More Information This item is not currently on sale. It’s the third annual concert featuring the mighty brass, wind and percussion sections of the Symphony. They join forces with the Bryan Concert Organ for an afternoon of powerful music certain to once again shake the rafters of Jacoby Symphony Hall. Sun 11/3/19 3:00PM Jacoby Hall Brass, Organ, Winds and Percussion More Information This item is not currently on sale. 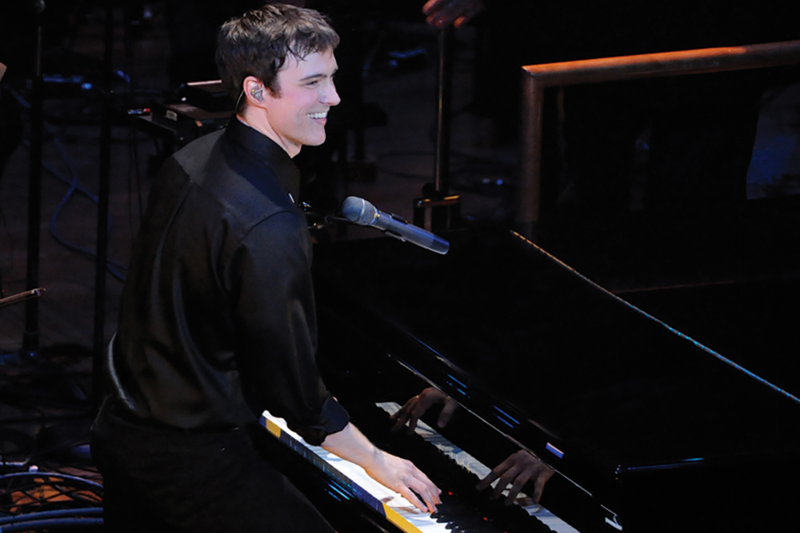 Michael Cavenaugh who was handpicked by Billy Joel to star on Broadway in the musical Movin’ Out joins the Symphony in Jacoby Hall. 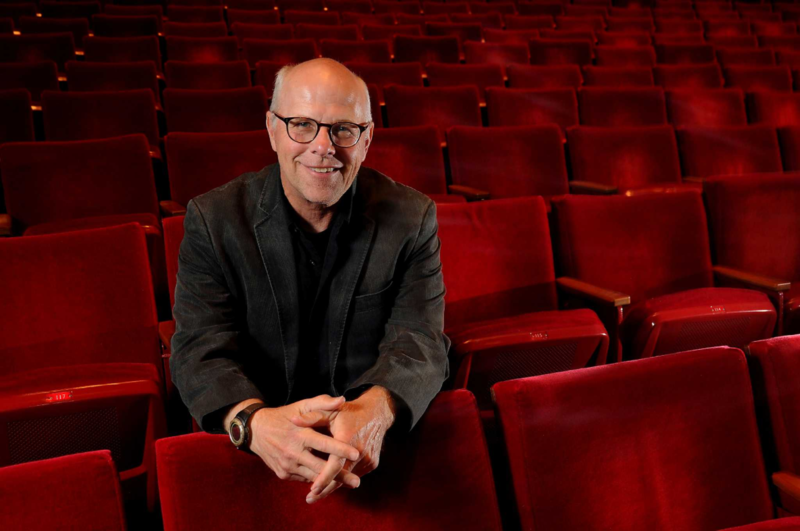 The NY Times called Cavenaugh, :…the remarkably accomplished pianist and Billy Joel sound-alike.” He and the Symphony will have you rocking in the aisles to Billy’s greatest hits and more. Fri 11/8/19 8:00PM Jacoby Hall The Music of Billy Joel and More More Information This item is not currently on sale. Sat 11/9/19 8:00PM Jacoby Hall The Music of Billy Joel and More More Information This item is not currently on sale. 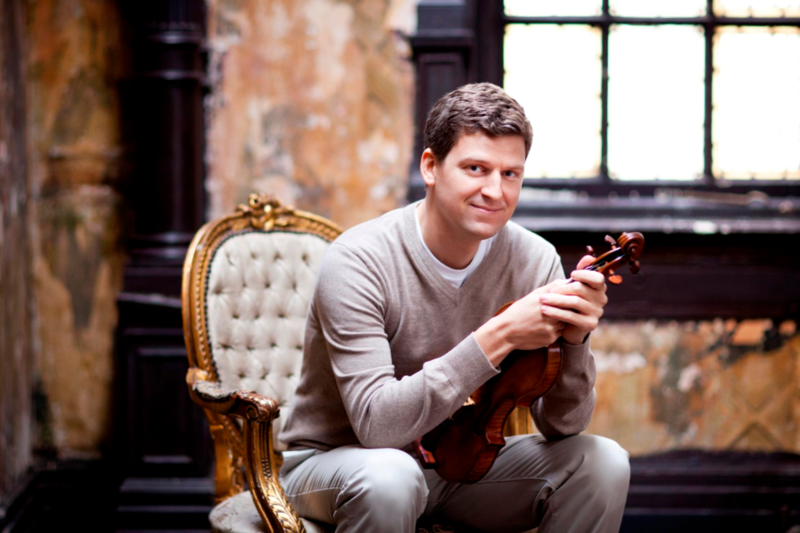 We follow our compass to the North as international superstar violinist James Ehnes returns to Jacksonville for Elgar’s epic Violin Concerto. We continue our Sibelius cycle with his Sixth Symphony and explore the story of a lonely fisherman with Britten’s Four Sea Interludes from Peter Grimes. Fri 11/15/19 8:00PM Jacoby Hall Ehnes Plays Elgar More Information This item is not currently on sale. 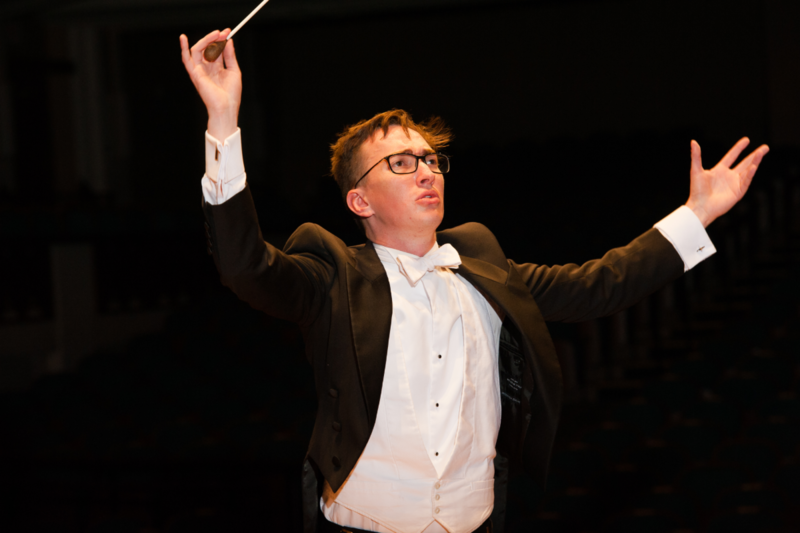 Sat 11/16/19 8:00PM Jacoby Hall Ehnes Plays Elgar More Information This item is not currently on sale. “Probably the most well-known piece of music in the western world. The famous four opening notes are so ingrained in peoples’ minds that they’ve become an icon of classical music.” As part of our year-long celebration of Beethoven’s 250th birthday, the Symphony will thrill you with his most recognized work. Fri 11/22/19 11:00AM Jacoby Hall Beethoven's Fifth — Coffee More Information This item is not currently on sale. 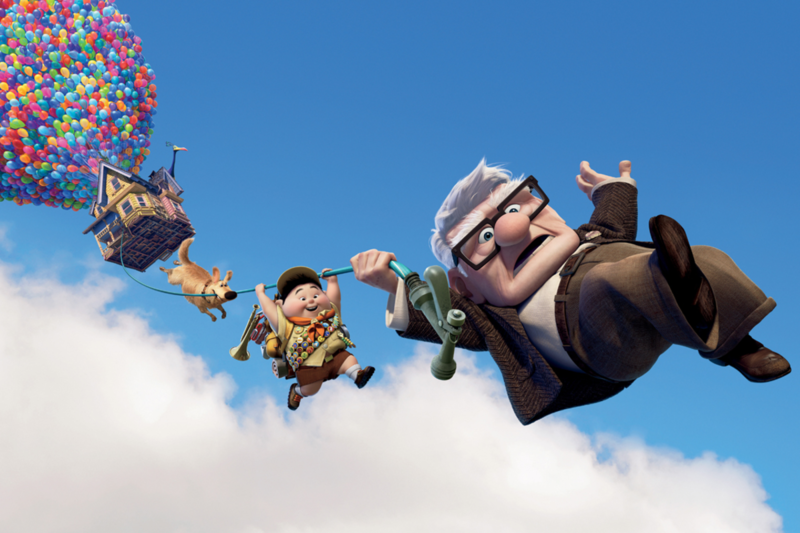 Roger Ebert called Up, “… another masterwork from Pixar.” This wonderful film tells young and old alike that life’s biggest adventures aren’t always the ones you set out looking for. The entire family will enjoy the beauty of Up and of its score played live by the Jacksonville Symphony. Sat 11/30/19 3:00PM Jacoby Hall Up More Information This item is not currently on sale. Sat 11/30/19 7:00PM Jacoby Hall Up More Information This item is not currently on sale. Jacksonville’s favorite holiday tradition is back and better than ever. 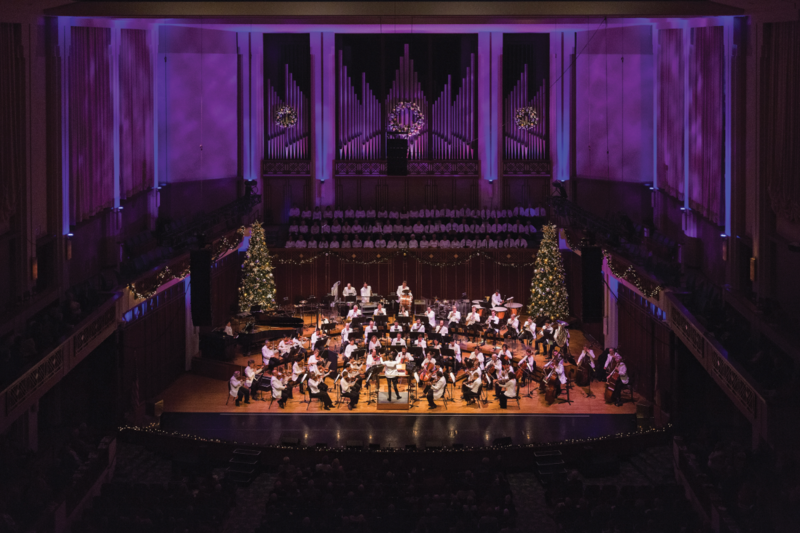 Featuring the talents of the Symphony, Symphony Chorus, guest singers and dancers from Douglas Anderson performing your favorite holiday classics. Bring the entire family to kick-off the holiday season. And, don’t forget your snow boots. Thu 12/5/19 7:30PM Jacoby Hall Holiday Pops More Information This item is not currently on sale. Fri 12/6/19 8:00PM Jacoby Hall Holiday Pops More Information This item is not currently on sale. Sat 12/7/19 3:00PM Jacoby Hall Holiday Pops More Information This item is not currently on sale. Sat 12/7/19 8:00PM Jacoby Hall Holiday Pops More Information This item is not currently on sale. Sun 12/8/19 3:00PM Jacoby Hall Holiday Pops More Information This item is not currently on sale. Sun 12/8/19 7:00PM Jacoby Hall Holiday Pops More Information This item is not currently on sale. Fri 12/6/19 11:00AM Jacoby Hall Holiday Pops — Coffee More Information This item is not currently on sale. 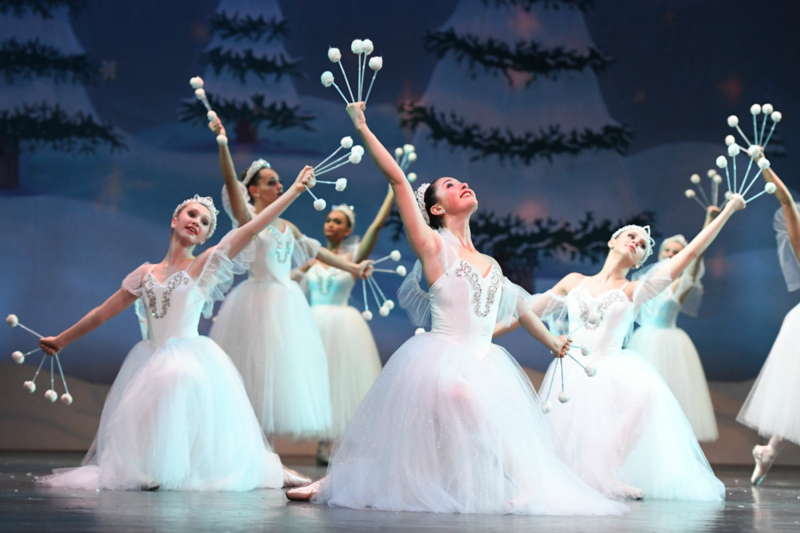 Presented by VyStar Credit Union, the First Coast Nutcracker has been a beloved tradition in northeast Florida for over 40 years. Experience Tchaikovsky’s timeless ballet as it should be experienced, with a live, full symphony orchestra. Only the Jacksonville Symphony presents it this way. Fri 12/13/19 8:00PM Moran Theater First Coast Nutcracker More Information This item is not currently on sale. Sat 12/14/19 2:00PM Moran Theater First Coast Nutcracker More Information This item is not currently on sale. Sat 12/14/19 8:00PM Moran Theater First Coast Nutcracker More Information This item is not currently on sale. Sun 12/15/19 2:00PM Moran Theater First Coast Nutcracker More Information This item is not currently on sale. 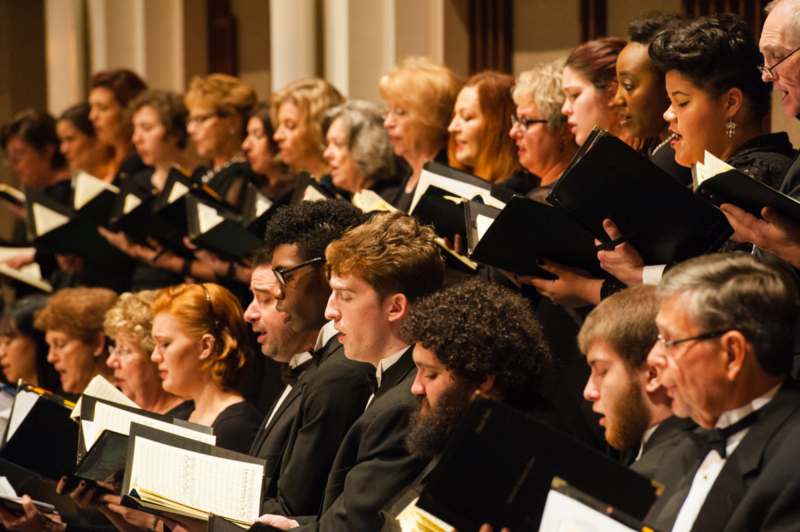 “The greatest story ever told…the most majestic music ever conceived.” The Jacksonville Symphony, guest soloists and the more than 100 voices of the Jacksonville Symphony Chorus present music’s most powerful message of faith in THE Messiah of the season. Sat 12/14/19 7:30PM Jacoby Hall Handel's Messiah More Information This item is not currently on sale. 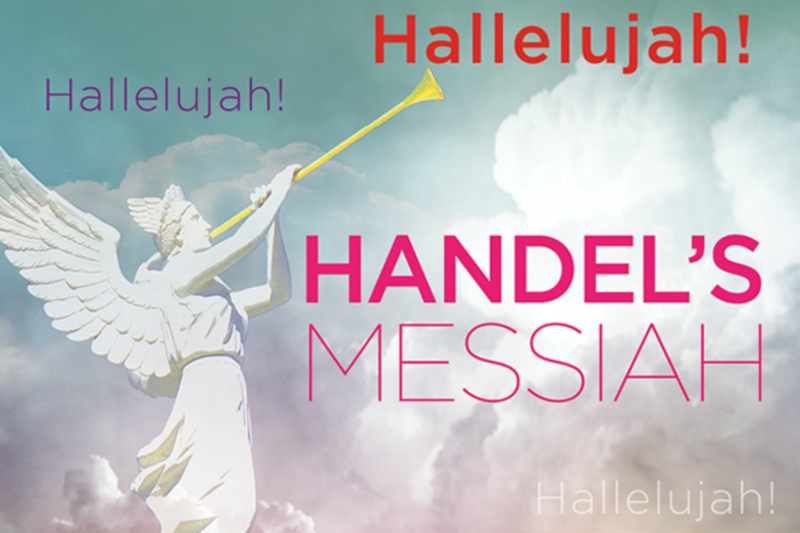 Sun 12/15/19 3:00PM Jacoby Hall Handel's Messiah More Information This item is not currently on sale. 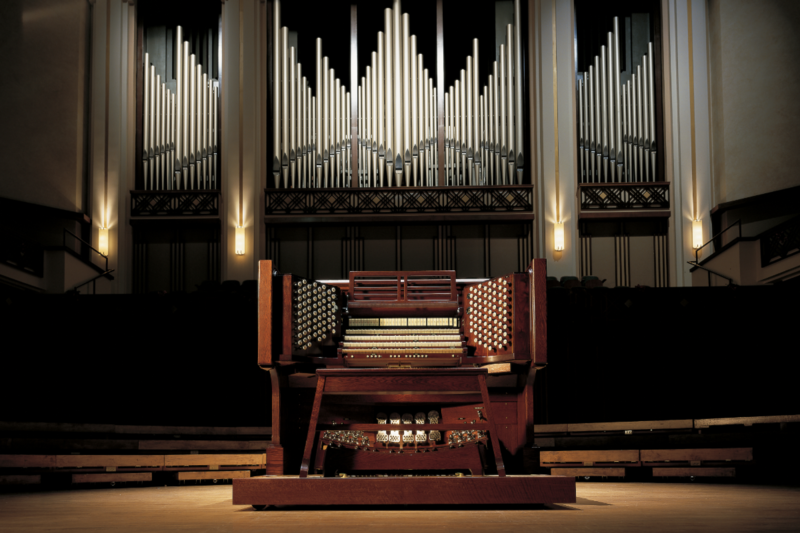 We roll out the mighty Bryan Concert Organ for Saint-Saëns’ magnum opus, the majestic Organ Symphony. This innovative piece culminates with rippling piano and voluptuous strings alongside the thundering organ pipes into a climax that is sure to feel like a third cup of coffee. Fri 12/20/19 8:00PM Jacoby Hall Symphonic Dances More Information This item is not currently on sale. Sat 12/21/19 8:00PM Jacoby Hall Symphonic Dances More Information This item is not currently on sale. It’s the biggest New Year’s Eve celebration in town. 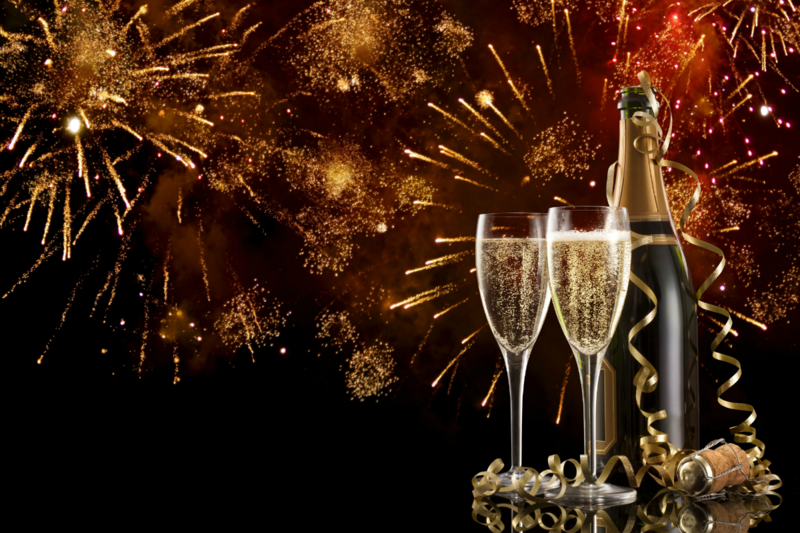 The Jacksonville Symphony followed by a party featuring the sounds of the Chris Thomas Band, followed by fireworks seen from the best viewing location on the River. Get your tickets early as this party sells out every year. Tue 12/31/19 9:00PM Jacoby Hall New Year's Eve Celebration More Information This item is not currently on sale. Fri 1/3/20 11:00AM Jacoby Hall The "Organ Symphony" — Coffee More Information This item is not currently on sale. Beethoven influenced the course of music history in nearly every genre, and the concerto is no exception. 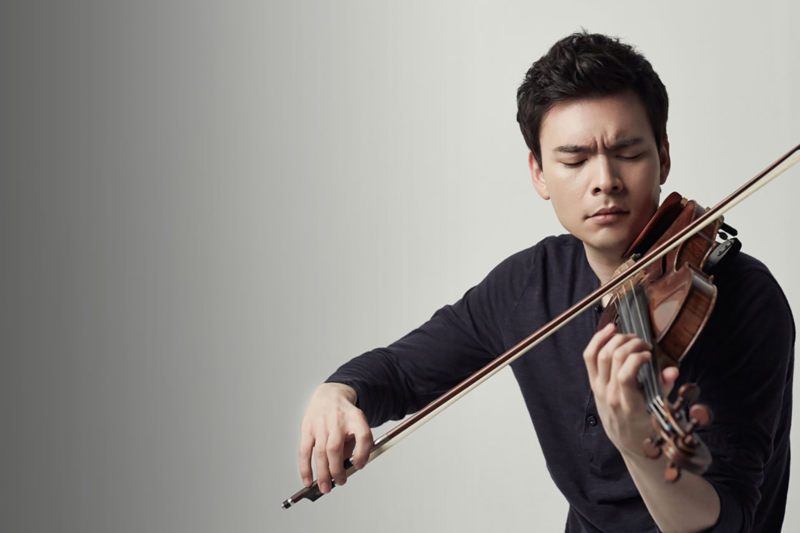 The New York Times praises phenom violinist Stefan Jackiw’s “remarkable purity of tone,” which he couples with the controlled intensity this concerto demands. Beethoven’s lineage shines in the late Romanticism of Schreker’s Chamber Symphony, and his fire is unmistakable in Schumann’s First Symphony. Fri 1/10/20 8:00PM Jacoby Hall Beethoven's Violin Concerto More Information This item is not currently on sale. Sat 1/11/20 8:00PM Jacoby Hall Beethoven's Violin Concerto More Information This item is not currently on sale. 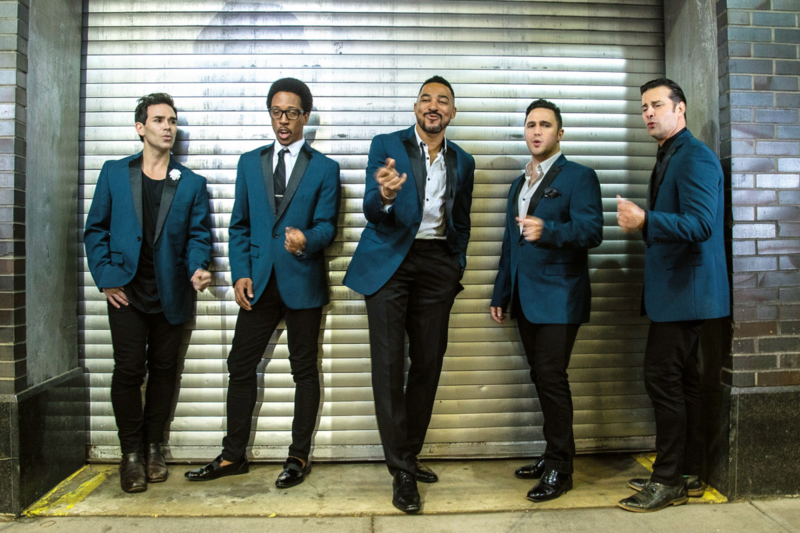 The Doo Wop Project will take you on a journey from the classic sound of groups like the Crests and Belmonts to Smokey Robinson and The Four Seasons to doowopified versions of modern musicians like Michael Jackson and Maroon 5. Featuring stars of the Broadway hits Jersey Boys and Motown: The Musical, The Doo Wop Project will have you dancing in your seats. Fri 1/17/20 8:00PM Jacoby Hall The Doo Wop Project More Information This item is not currently on sale. Sat 1/18/20 8:00PM Jacoby Hall The Doo Wop Project More Information This item is not currently on sale. 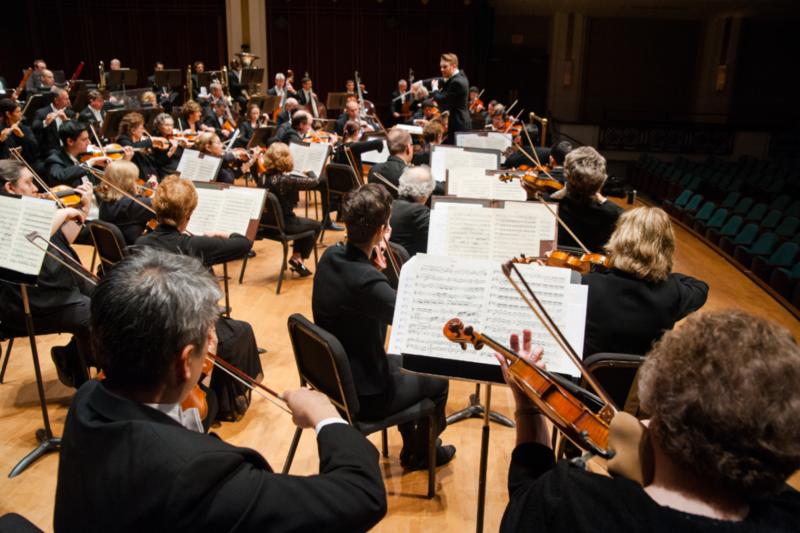 Fri 1/31/20 8:00PM Jacoby Hall Tchaikovsky's Sixth Symphony More Information This item is not currently on sale. Sat 2/1/20 8:00PM Jacoby Hall Tchaikovsky's Sixth Symphony More Information This item is not currently on sale. George Lucas’ adventure continues in this sequel to Star Wars. Imperial forces and their AT-AT walkers attack on the ice planet Hoth. Luke meets Yoda who helps him survive when the dark forces of the Force beckon him into the ultimate duel with Darth Vader. If you haven’t seen it with the score played live, you haven’t really experienced The Empire Strikes Back. Sat 2/8/20 7:00PM Jacoby Hall Star Wars: The Empire Strikes Back More Information This item is not currently on sale. Sun 2/9/20 3:00PM Jacoby Hall Star Wars: The Empire Strikes Back More Information This item is not currently on sale. It is said that music can express can’t. 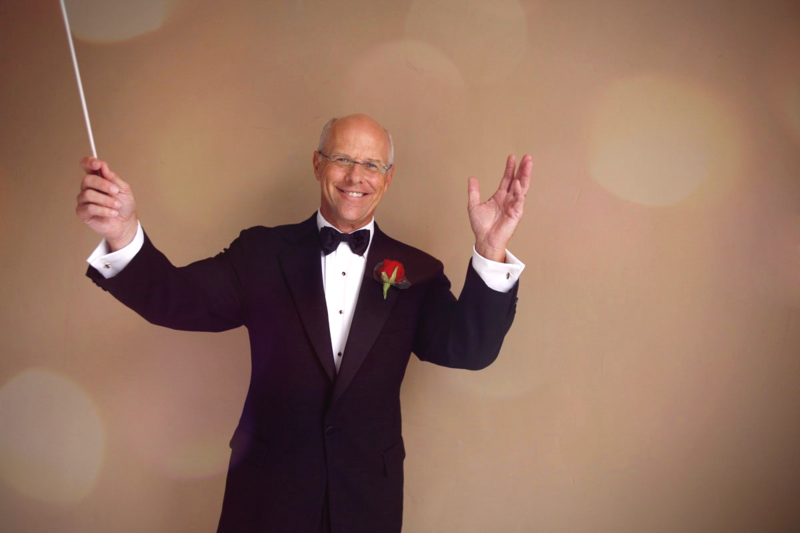 Whether you’re struggling to express your innermost feelings to your partner or not, there’s no more amorous Valentine’s Day than one spent listening to the most romantic music ever written what words with great singers and the Jacksonville Symphony. Give your sweetheart a most romantic Valentine. Fri 2/14/20 11:00AM Jacoby Hall A Romantic Valentine — Coffee More Information This item is not currently on sale. It is said that music can express what words can’t. Whether you’re struggling to express your innermost feelings to your partner or not, there’s no more amorous Valentine’s Day than one spent listening to the most romantic music ever written with great singers and the Jacksonville Symphony. Give your sweetheart a most romantic Valentine. Fri 2/14/20 8:00PM Jacoby Hall A Romantic Valentine More Information This item is not currently on sale. Sat 2/15/20 8:00PM Jacoby Hall A Romantic Valentine More Information This item is not currently on sale. Both the Mass in C and music from the ballet Pulcinella feature world-class vocal soloists. Discover the wonders of another Beethoven masterpiece with the combined forces of the Symphony, vocal soloists, the Symphony Chorus and the University of North Florida Chorale. Fri 2/21/20 8:00PM Jacoby Hall Beethoven's Mass in C More Information This item is not currently on sale. Sat 2/22/20 8:00PM Jacoby Hall Beethoven's Mass in C More Information This item is not currently on sale. Susan Graham – hailed by the NY Times as, “…an artist to treasure.” – has risen to the highest echelon of international performers. She is a familiar face at the Metropolitan Opera in New York and at key international venues such as The Paris Opera, The Sydney Opera House and the Hollywood Bowl. The 2020 Symphony Gala is the party to be seen at in Jacksonville. Wonderful music, great food and dancing make for a spectacular evening. Sat 3/7/20 7:00PM Jacoby Hall 2020 Symphony Gala More Information This item is not currently on sale. 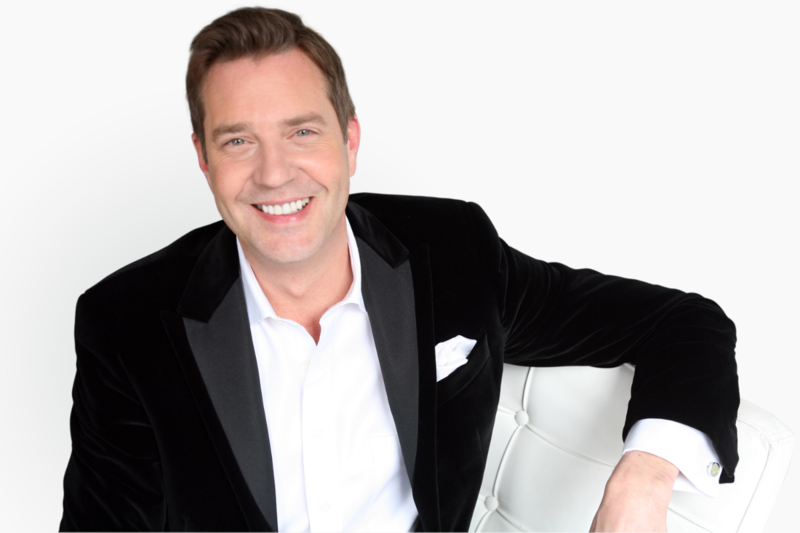 Broadway World said, “Steven Reineke’s boundless enthusiasm and exceptional artistry have made him one of the nation’s most sought-after pops conductors, composers and arrangers.” Reineke leads the Jacksonville Symphony and guest vocalists in a performance of many of your Broadway favorites. Join us for an evening of hits from the Great White Way. Fri 3/13/20 8:00PM Jacoby Hall Give My Regards to Broadway More Information This item is not currently on sale. Sat 3/14/20 8:00PM Jacoby Hall Give My Regards to Broadway More Information This item is not currently on sale. Two works all connected by America’s greatest gift to the musical world: jazz. Both Copland and Stravinsky found inspiration and influence in elements of the genre, each in their own style and language. 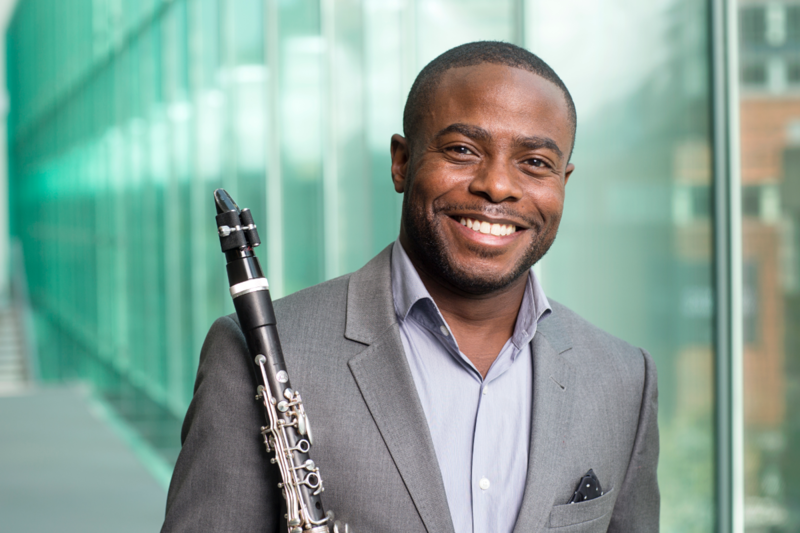 The program also features the return to Jacksonville of virtuoso clarinetist Anthony McGill from the NY Philharmonic. Fri 3/20/20 11:00AM Jacoby Hall Copland and Stravinsky — Coffee More Information This item is not currently on sale. 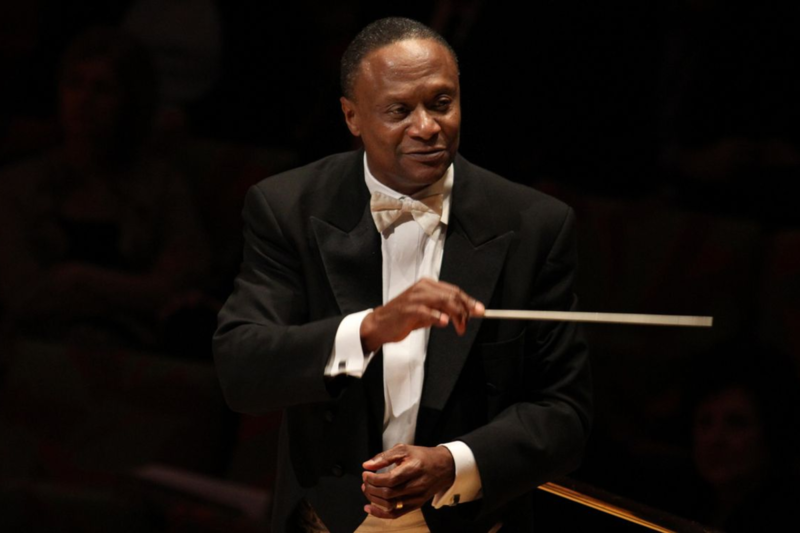 The SHIFT Festival “…celebrates the vitality, identity and extraordinary artistry of orchestras…” Hear the program the Jacksonville Symphony will perform at the Kennedy Center. The selections include two pieces written specifically for the Symphony and Jacksonville: Duke Ellington’s Celebration written for our 25th anniversary and Courtney Bryan’s Bridges. 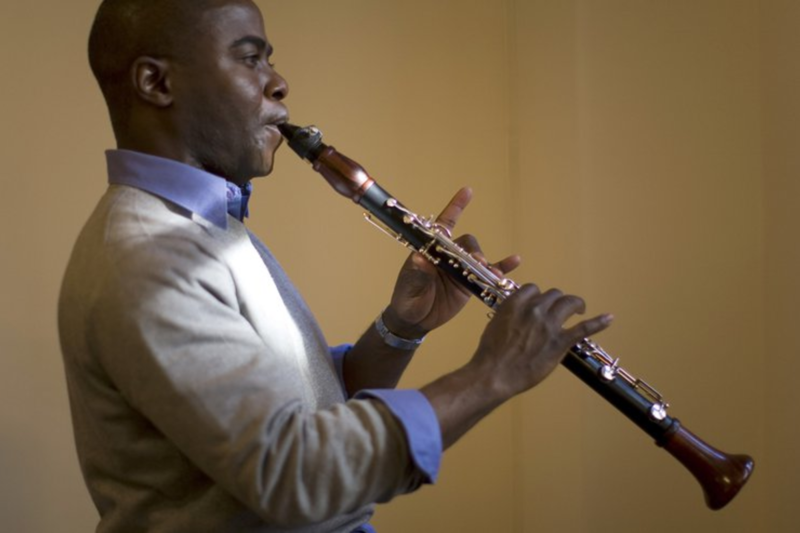 New York Philharmonic clarinetist Anthony McGill returns for Copland’s Clarinet Concerto. Fri 3/20/20 8:00PM Jacoby Hall SHIFT: Kennedy Center Bound More Information This item is not currently on sale. Sat 3/21/20 8:00PM Jacoby Hall SHIFT: Kennedy Center Bound More Information This item is not currently on sale. Leonard Bernstein said of Copland’s Symphony No. 3, “The symphony has become an American monument like the Washington Monument or the Lincoln Memorial.” Copland wrote this music to celebrate the euphoric spirit in America at the close of World War II. Fri 4/3/20 8:00PM Jacoby Hall Copland's Great American Symphony More Information This item is not currently on sale. Sat 4/4/20 8:00PM Jacoby Hall Copland's Great American Symphony More Information This item is not currently on sale. There is a reason Aretha Franklin was dubbed “The Queen of Soul.” While we may have lost her last year, her music will live on forever. “Respect,” “Think,” “Chain of Fools,” “A Natural Woman” and so many more. Aretha sold over 75 million albums. The Symphony and the great Capathia Jenkins pay tribute to the one and only Aretha. Fri 4/17/20 11:00AM Jacoby Hall Aretha — Coffee More Information This item is not currently on sale. 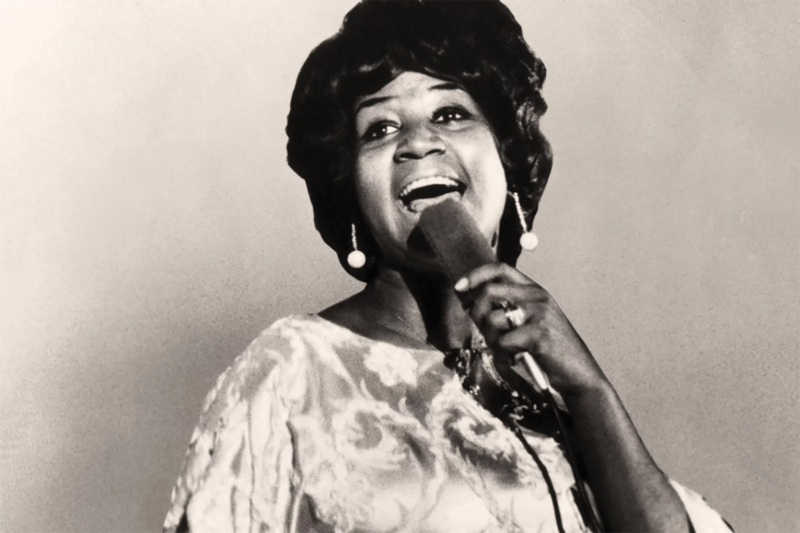 Fri 4/17/20 8:00PM Jacoby Hall Aretha More Information This item is not currently on sale. Sat 4/18/20 8:00PM Jacoby Hall Aretha More Information This item is not currently on sale. The most cheerful of Brahms’ works is often called his “pastoral” in reference to Beethoven’s symphony of the same name. This symphony is full of warmth and overflowing with lush, joyful melodies. 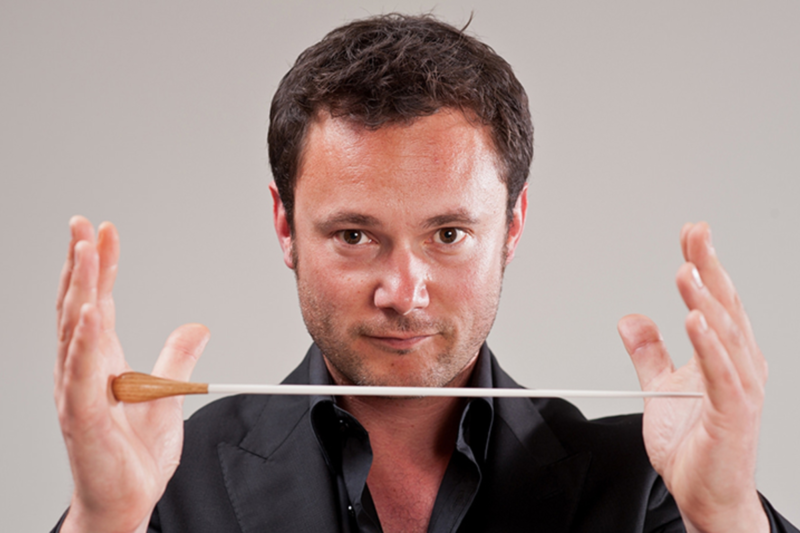 Fri 4/24/20 8:00PM Jacoby Hall Brahms Symphony No. 2 More Information This item is not currently on sale. Sat 4/25/20 8:00PM Jacoby Hall Brahms Symphony No. 2 More Information This item is not currently on sale. Fri 5/15/20 8:00PM Jacoby Hall Beethoven's Emperor Concerto More Information This item is not currently on sale. Sat 5/16/20 8:00PM Jacoby Hall Beethoven's Emperor Concerto More Information This item is not currently on sale. The Symphony’s Memorial Day tradition returns with our salute to military heroes who made the ultimate sacrifice to protect the freedom we cherish. Hear and sing-along with the Symphony to your favorite patriotic selections including “The Star-Spangled Banner” and the themes of the great branches of our military. It is sure to be the most inspiring event of the season. Fri 5/22/20 11:00AM Jacoby Hall Patriotic Pops — Coffee More Information This item is not currently on sale. Fri 5/22/20 8:00PM Jacoby Hall Patriotic Pops More Information This item is not currently on sale. Sat 5/23/20 8:00PM Jacoby Hall Patriotic Pops More Information This item is not currently on sale. “Jurassic Park is a spectacle of special effects and life-like animatronics, with some of Spielberg's best sequences of sustained awe and sheer terror.” So said the critics. What could be better than the height of Spielberg’s imagination on the big screen and John Williams’ beautiful and iconic score played live in an acoustically great hall? Sat 5/30/20 7:00PM Jacoby Hall Jurassic Park More Information This item is not currently on sale. 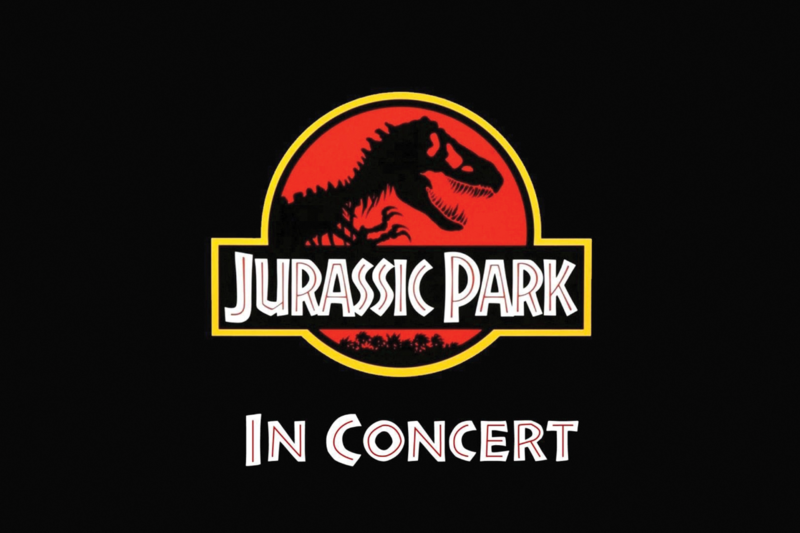 Sun 5/31/20 3:00PM Jacoby Hall Jurassic Park More Information This item is not currently on sale. Ravel’s La Valse elicits a broader range of interpretations than nearly any of the French composer’s works. It may well be the deepest exploration of Romanticism by this otherwise Classical and Impressionist composer. 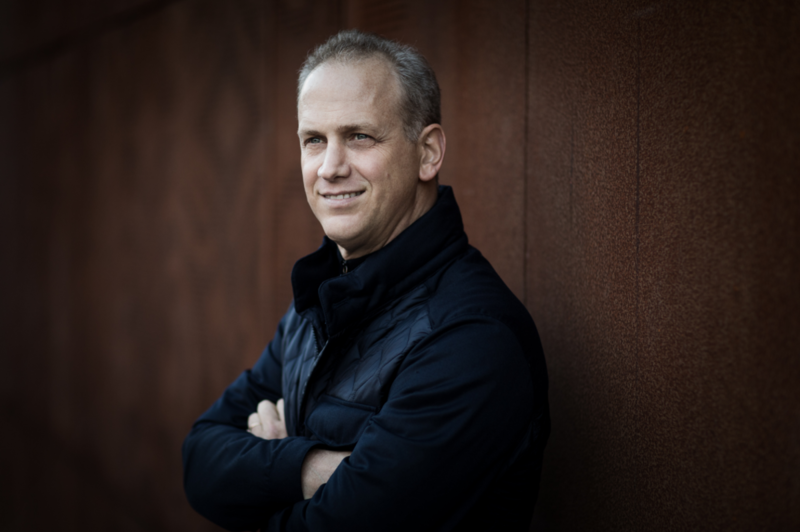 The Symphony will reach the end of this mighty season’s voyage with the pinnacle of Beethoven’s lineage, Gustav Mahler and his “Titan” First Symphony. “It’s one of the most spellbinding moments of symphonic inspiration in the 19th century: the opening of Gustav Mahler’s First Symphony. 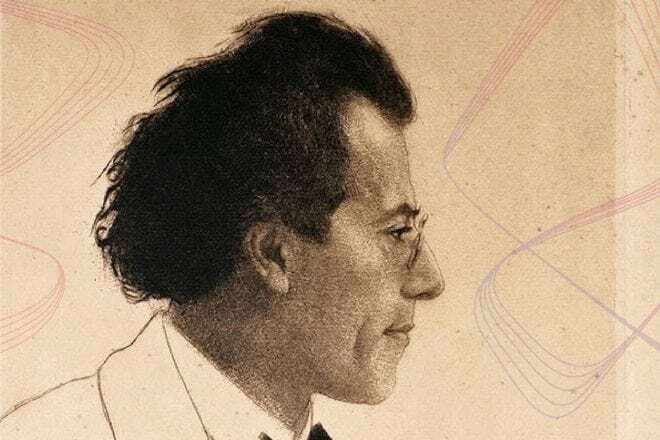 Fri 6/5/20 8:00PM Jacoby Hall Mahler 1 More Information This item is not currently on sale. Sat 6/6/20 8:00PM Jacoby Hall Mahler 1 More Information This item is not currently on sale.